It is now established that incorporating regular exercise into the life routine is crucial for maintaining cognitive health throughout the lifespan, however the mechanisms for the pro-cognitive effects of exercise are not well understood. Elucidating and unequivocally establishing these mechanisms holds the key to discover novel and more efficient ways to maintain, promote and improve cognitive performance, perhaps even in the absence of physical activity. We and many others, have documented numerous long-term changes in the central nervous system (CNS) from exercise training which likely support enhanced cognition. However, the acute effects of exercise which ultimately must cause the long-term CNS adaptations are not known. Moreover, it is not clear where the acute signals come from, the periphery (e.g., muscles, blood pressure) or within the brain itself. 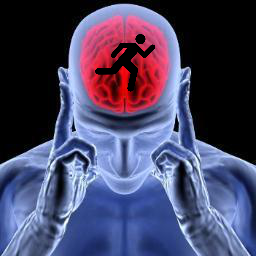 We believe it is crucial to identify those specific acute events associated with exercise or physical exertion that when repeated contribute to the chronic neurological changes that have been so well documented and presumably related to the cognitive enhancement. This is because if we seek to replicate exercise’s pro-cognitive influence, then it likely will be necessary to recapitulate the acute events and repeat them to cause the desired long-term cognitive benefits, as occurs with exercise training. I am currently working to put together a team of scientists, to focus on this question and compete for an NIH Program Project or Center on origins of exercise effects on the brain. The team would require experts from such different disciplines as kinesiology, psychology, behavioral neuroscience, chemical engineering, and biochemistry. One line of research would test the hypothesis that the effects of exercise on enhanced survival and differentiation of new neurons in the hippocampus is due to contraction of the peripheral muscles engaged during the physical activity. Another line will test the hypothesis that the origin of exercise-induced neurogenesis comes from the repeated acute activation of the dentate gyrus that occurs during high-intensity movements.